Business Rule Management (BRM) and Business Process Management (BPM) present two viable strategies for improving organizational efficiency and effectiveness as well as achieving enterprise agility. In addition, both approaches aim at establishing a close IT-business alignment. Recently, semantic paradigms have been introduced in order to achieve a close relationship and automated understanding between BRM/BPM models and natural language. 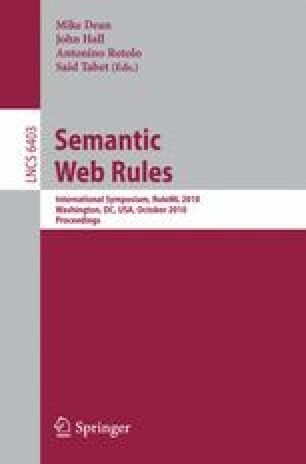 This paper presents a prototypical approach for integrating business rules into a natural language-like and strongly IT-supported subject-predicate-object notation of subject oriented business process models based on a shared organizational semantic vocabulary. Scientific findings derived from this approach are used to establish a consistent procedure model for representing and linking business rules and processes within ontologies.